One of the biggest downsides of aging is the loss of mobility, which then leads to a feeling of losing independence. Fortunately, advances in home technology have made it possible for seniors to live at home longer own their own, rather than moving to a healthcare facility. Home elevators offer a more elegant look than standard stairlifts, which have become unfashionable. New home elevators can be retrofitted in an old home to offer increased freedom and mobility. One of the primary concerns most people have is whether or not a home elevator is safe. Additional safety equipment like power backup, telephones, door interlock systems, and emergency stops and alarms are all available in-home elevator systems. Six out of every ten falls that happen to occur around the home, with stairs being the leading reason why people fall. A home elevator offers a safer option for seniors to reach important areas of their home without constraining themselves to areas of the home that are easier to reach. Which Residential Elevator Is Right for Me? The type of home elevator you choose for your home depends on several factors. For seniors who want to age in place and have an elegant solution for continuing to use their multi-story home, a pneumatic lift may be a good choice. Traction elevators are a great option for retrofitting an old house because they do not require extra space or a separate machine room. Hydraulic elevators do require a separate machine room, but they operate much more quietly than traction lifts. An eclipse elevator is designed for a home with a limited amount of space. It can accommodate wheelchairs of all sizes. How Much Does an Elevator Cost? The price you will pay for an elevator can be broken down into multiple elements. The elevator itself can cost upwards of $20,000 without the cost of labor for retrofitting your house. Because each elevator shaft needs to be custom designed, your contractor will work closely with the elevator company. You shouldn’t be too surprised if the contractor bill for creating the shaft is around $10,000 to $20,000 itself. While this is a pricy upgrade, home elevators are one of the home modifications you can make that add value to your home. Buyers will appreciate the ease of access for multiple floors that it provides. For this reason, home elevators are a great option for aging in place seniors who want to add value to their home through their improvements. It’s true that an elevator installation is not a set it and forget it type of project and will require routine maintenance. 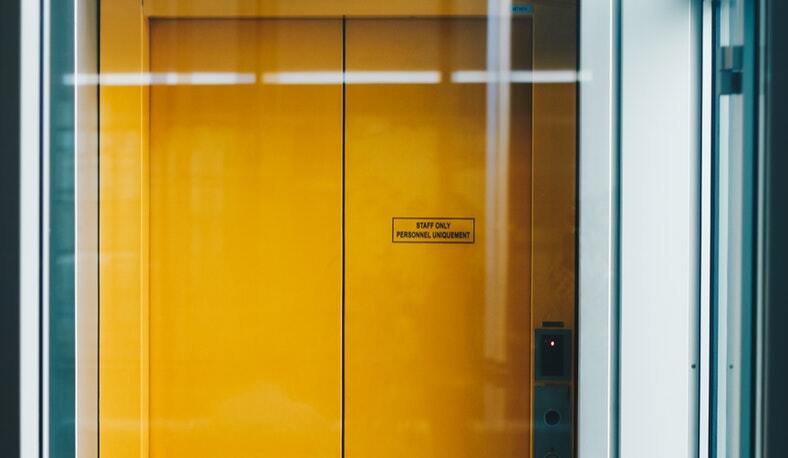 Once it is installed, you will need to have the elevator inspected yearly to maintain safety standards. Inspection costs for a residential elevator can range between $100 and $500. The safety inspector will make sure the elevator’s main points of operation are in fine condition, that all safety measures are working, and that the cab is safe to be used daily by the homeowner.